Before Grain brand cat food is manufactured by Merrick Pet Foods. The Merrick Pet Foods company was first founded in 1989, as a dog food manufacturing company. In 2002, Merrick Pet Foods began researching methods to make gourmet pet foods. In October of 2003, Merrick launched three different canned food formulas. Following the development of canned cat food formulas, "Before Grain" brand cat food was eventually produced. As of current news, none of Merrick's products, and none of their Before Grain brand of cat food are involved in the recent FDA pet food recall. A slightly unique feature of Before Grain cat food is that it is made with freeze-dried fruts and vegetables that are added after the cooking process. This is a procedure that is not commonly done by pet food companies, and provides interesting questions as to if this truly is a better nutritional option than the cooking processes used by some other cat food companies. As suggested by the name, Before Grain brand cat food is completely grain-free, though does contain carbohydrates derived from potato products. Before Grain brand cat food is currently available in three different formulas, which are defined by the primary protein source they contain. Before Grain dry cat food formulas are available in a small 1lb bag, a 3.3lb bag, a 6.6lb bag and a larger 11.1lb bag. Before Grain Salmon dry cat food formula is suitable for cats in all life stages. The first five ingredients of this formula are Deboned Salmon, Chicken Meal, Dehydrated Potato, Turkey Meal and Chicken Fat. The Guaranteed Analysis of this formula contains % Protein and % Fat. Before Grain Tuna dry cat food formula is designed for cats in all life stages. The first five ingredients of this formula are Deboned Tuna Fish, Chicken Meal, Dehydrated Potato, Turkey Meal and Chicken Fat. The Guaranteed Analysis of this formula contains 36% Protein and 18% Fat. Before Grain Chicken dry cat food formula is suitable for cats in all life stages. The first five ingredients of this formula are Deboned Chicken, Chicken Meal, Dehydrated Potato, Turkey Meal and Chicken Fat. The Guaranteed Analysis of this formula contains 36% Protein and 18% Fat. General consumer consensus is that cats initially love the taste of Before Grain brand pet food. Some cats are reported to lose interest in the food over time, but this was fairly uncommon. Also, the fact that no artificial preservatives are used in Before Grain cat food was generally well-recieved. Since many pet owners are researching the best methods to switch their cats to a grain-free diet, Before Grain brand cat food has been rapidly increasing in popularity. Though the protein content of Before Grain is slightly lower than some other grain-free pet foods, some consumers stated that this is a positive factor, since some veterinarians recommend only a certain amount of protein. However, a few cat owners stated that their cats had digestive problems when switched to Before Grain cat food. However, this seemed to be relatively rare. Does your cat like it? could you tell me a little more about the digestive problems other cats have experienced? i’m in the process of determining if this bag is irritating my cat’s bowels. it just started when i switched to the salmon flavor from the tuna flavor. i am about to put her on a different food to see if it resolves, but thought i’d see what you know, too. Thank you for the insight into the Before Grain Dry Food recipes. I have yet to use the BG dry, but I do use he BG moist food- cats seem to enjoy it. Jamie, if you have not discovered already, cat’s digestive system can be easily irritated when switching between dry foods. Try to stick with a good dry food and DO ensure you do not switch overnight. If at all possible, transition should be done over a period of days. I hope your cat is doing better. thank you “before Grain” ! My orange tabby cat is 15 years old and has had severe allergies since he was one year old. He’d lick and scratch himself constantly until he looked like he’d been in a fight. The thought with veterinarians has been that most food allergies are the result of the protein source in the pet food so I tried my cat on various prescription diets with odd protein sources like rabbit, vennison, etc. and his allergies continued. My cat the last couple of years was down to about 9-10 lbs. and he’s a large cat. I had been feeding him what I thought was a very high quality food. After reading a review on another site about a woman’s cat who had severe allergies to a corn based cat litter (which I was using) I discovered my cat was allergic to corn as well. After removing the corn based cat litter and switching my cat to the Before Gran chicken dry food, in just two weeks you can’t believe the difference. He is happy and playful again. He has gained weight and looks now like he’s at a healthy weight. I am so grateful that someone wrote that review about her cat being allergic to corn because it opened my eyes and as a result of switching my cat to Before Grain, I now have a healthy and happy cat. Thank you Before Grain! I bought B.G. and set it out beside the other “no grain” cat food, and my 4 cats took to it IMMEDIATELY. They didn’t want to touch the old food at all. When I ran out of food, and bought a different brand of “no grain” on sale, again, no one would eat it. For a whole day, they ate only a tiny bit of food between all four. Needless to say, I went back and got what they liked. I mixed it, so it did slow down their eating, but everyone is much softer, shinier with way fewer puking incidents since I switched to no grain foods. 2. It came in a larger – more cost efficient size, like 20-25 lb bag. I have four cats and they LOVE this food. They all have beautiful shiny coats. One of my cats has had skin problems from eating other foods and she is perfect on this. I buy an 11 lb bag about every three weeks, they’re free-fed and it’s all they eat (no wet food), so price-wise, it’s really not so bad (breaks down to about $8/week for four cats–$2/week per cat). I am only starting to try this brand of cat food. I had to stop Prairie and Instinct / Natures Variety due to how much a 12 pound bag costs ($38 dollars). The cost of this food fits our budget ($24 dollars) and has a 11 pound bag. Hopefully the cats will like this. I have 3 cats. One had skin issues with hair loss, one had alot of dandruff and oily fur with a bunch of wax in his ears. They were on grocery store brands. Since I made the switch to Before Grain four months ago they all are now beautiful. Their fur is so soft and it just shines! Eyes are bright and they also shine. No more dirty ears or gook in their eyes. They are all so beautiful now. I would recommend Before Grain 100%. My cats have been on Eagle Pack (now called Holistic Select) which they really love. But when I offered a sample of BG they went wild. I am concerned because the big fat male ate his up very fast and pushed away the thin and dainty little female who eats slowly and likes to come and go over a few hours. I have to watch that the little one gets all her own food. She has been not that interested in food her first 3 years, but with the BG she is eating more. I’ve started mixing the 2 brands to slow him down a bit. Does anyone else think the ash and magnesium content are a little too high? First of all, they don’t list it on their bags. I wrote to the company to ask them what the levels are, and they took over a week to respond. Both levels are high, especially the ash at 10.00. I started to wonder because my cat’s urine started to have a very strong odour after consuming this food. Regarding the Ash and Magnesium levels, yes, they are higher than other grain free cat foods. The Before Grain Chicken is lower in Ash and Magnesium than the Salmon and Tuna. I like to rotate foods for my three cats. I rotate between the different dry food flavors and I also feed them canned food twice a day. 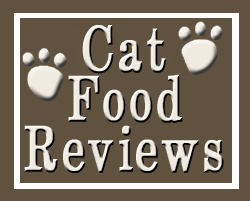 My cats like all three Before Grain dry cat food flavors and they have not had any problems. I especially like that the food is grain free and has a moderate protein level. Can somebody please explain what the numbers represent? I bought #1 Chicken tonight, and nobody at the store could explain why it was #1 and Salmon was #2. Thanks! My boy kitty has had significant digestive issues with this moist food and I’ve had to take him off of it which is disappointing because his coat seemed to be doing better and he really liked the food. My girl cat (his sister) had no issues with the food. Digestive issues – my kitty is very plugged up and is having issues with making it to the box when he does defecate. I bought a bag of Before Grain dry cat food about a week and a half ago for the first time. I was happy with the price point, but my cats have been barfing up a storm every day since. I mixed the food they were eating prior to Before Grain in with the new cat food for the first little while to help their bellies get used to it, but it has been almost been 2 weeks and it would be easier to count how many times they haven’t thrown up versus how many times they have. I’m disappointed in that respect, but they do seem to like it. Maybe they like it so much that they’re binging and throwing up, or maybe they’re not used to food without grain. Both my cats like the food (salmon), but one of them has gotten really gassy and started having very soft stool. He also threw up twice but I think its because he ate too quickly one time. The vet thinks that there might be something in the food that has irritated him since he seems to have tested negative for giardia. I’m switching him back to royal canin but I would really like to try wellness core, although I’m not sure he’s reacting well to all this grain free food even if he has no problem eating it. I’m amazed with this food. For a long time I had fed my cats Healthwise, which was a good food. But after an financial mishap I started feeding them some cheaper food for about a year. My 18 year old cat who’s still going strong had been looking thinner and just old. (And yea I know 18 IS old. She still doesnt act it, but was definitely looking it). So I decided it was time to switch back to a better food. The pet store I have always gone to however seemed to have stopped selling Healthwise, so I looked at other options. I saw the Before Grain brand, read the ingredients and pamphlets and decided to give it a shot. My cats have been on it two weeks now. For starters they like it and eat it with no problem. Both my younger cat and the 18 year old cat’s coats have gotten softer. But the most amazing thing, my old lady has put back on weight, her coat is thicker and even a small bald spot at the base of her tail has grown back in thick. She looks so much healthier and I couldn’t be more estatic. Simply amazed at this food. I have two cats. One was the runt of the litter and has a few health issues. I was feeding them a regular dry cat food when I got them (mainly because I wasn’t informed) and they would throw up all the time and have extremely soft stools. So, I did some research and found out that grain is really bad for cats if they aren’t getting enough water, which I guess most indoor cats don’t. Then my little runt started having urinary issues. So my vet put him on a Hill’s Prescription food, which I have to feed to both of my cats. It costs a lot of money. Tonight is the first night of Before Grain, and they both seemed to dig it. Here’s to hoping it works! This is our second small bag of Before Grain Dry Chicken flavor for our 4 year old indoor cat. Her coat has gotten softer, but other than that I haven’t noticed a difference in her. She didn’t really take to it right away. She would eat her old food out from around it, but once I switched her over completely she started eating it. She doesn’t eat as much as she once did, but I’ve been told that’s because they don’t actually need as much food. I think my only complaint is price. I have been feeding Oreo Before Grain (dry) for about a year now, and he loves it. He is an indoor cat, and is in amazing condition in terms of his weight. He has less furballs, good bowel movements, is active and happy. Every month or so, I’ll give him the Before Grain canned food, which he also enjoys. I bought an 11 lbs Tuna Before Grain on Friday, so far my cat seems to like it and has been meowing for more. I wanted the Salmon flavor but they were all out of it. I will post again if my cat reacts to it. I put my cats on Before Grain dry food about 5 months ago. Originally, they were on a regular dry food diet, but my older cat was gaining weight, and my kitten was developing a flatulence problem. Now, they free-feed the dry food. They prefer Tuna, but I switch between the three, and they get the Merrick brand canned food once a day as they weren’t fond of the Before Grain canned food. In the 5 months my older cat has started to slim down, and my kitten smells much better. I thought the price would be too much, but they eat much less of this food than they did the regular food. Also they seem to like it more, so I think it’s just that the higher quality food is more filling. I work at a local pet store and was interested when we got Before Grain in stock. I have been feeding my cat Before Grain for six months and saw a change immediately. Her coat is softer, she isn’t as gassy and her litter pan is easier to clean. I moved in with my in-laws who have 3 cats, one 13 year old and one very picky, and they took to it immediately. The one who had been on 9lives his whole life loved it and chose it over the 9lives. Their coats are softer, shinier, their shedding has lessened. There are no more hairballs (with the help of Laxitone also), which is important for a ragdoll. Working at a pet specialty store I have the option to compare ingredient quality and price difference all day long. I am quite happy with both compared to the Blue and Wellness that has higher protein quantity and sells for $30+ for a 15-17 lb bag. I have to agree with Jacqui. That is 100% true. Also if your cat is prone to, or currently has, UTI this is the food you need to get. There is absolutely no phosphorus or magnesium which cause stones in a cat. Also, a while back we realized our new cats (previously a stray) had diarrhea that was extremely smelly and was drinking and urinating a lot for the longest time. The vet recommended a blood test, and we came to find out he had the beginning stages of kidney disease from chemicals he might have been exposed to as a kitten. The vet recommended Science Diet K/D, but I did my research and began feeding him Before Grain Chicken. Not only does he love it but the diarrhea is gone and the vet was surprised with the results. We cant do anything to cure the kidney disease but the food absolutely will help him live a longer and normal life. FOR CAT OWNERS WHO’S CATS SUFFER FROM STRUVITE CRYSTALS – PLEASE READ! My cat recently had an issue with struvite crystals in his urine, which caused a urinary tract blockage. After a trip to the emergency vet and a hefty bill, he was healthy, but a follow up showed he still was having problems urinating freely. Another (slightly less) hefty bill included some prescription cat food (Hills C/V) later was a new problem, he kept growling while urinating. Also, my other cat, who pees perfectly fine (sometimes where he shouldn’t) had to eat this chemical laced food. The vet said his urine had become acidic, which is how the medicated food breaks down the crystals. The vet suggested higher water intake and more protein. He also suggested grains to be counterproductive to cats digestive tract as they are carnivores. Off to the pet store I went having no clue what I was looking for, and I saw this Before Grain stuff. It has the highest protein content in dry food I have seen and no grains (but still some carbohydrates). The fruit and veggies also help the urine become naturally more acidic through diet. I also bought some canned Before Grain food for even higher protein content and moisture. – My cats love it! Especially the canned food. They come running when they hear me pull the lid off. They have not done this for any other canned food I have bought them. – It seems more satisfying. A 3.3 lbs bag lasted two large male cats about 10 days! The old food I used to get them (Nutro) came in a 20lbs bag and lasted a month at a time. – Within just a couple of days I noticed how beautiful their coats started looking. Very shiny and vibrant. It seems like a great product all around, and it may be worth a shot if you have a cat dealing with struvite crystals/urinary tract issues. My cat was having constipation problems so the Petco guy suggested I switch to before grain since it does not have all the bad fillers. My 11 year old in door cat now has no problem going to the restroom. She lost 3 pounds and she only weighed 11. I have been feeding my 3year old cat Luna Before Grain since I got her when she was 6 months old. She loves this food and her coat is shiny, her teeth are white, she is super active and healthy, and is by no means over weight. I believe this is a great product. My only problem is that there is only one pet store that sells it, and it is a little further out of the way. I’m just wondering why the major pet stores like Petco or Petsmart don’t carry it. I usually feed Merrick to my 3 cats but once I found out that an investment group bought them out I changed over to Evangers since they are independently owned. Changing over was no issue and they offer a 13oz canned cat food which is such a better value. Nothing against Merrick’s food but once profits take priority, quality is sure to come in second place. It’s only a matter of time. Been there and seen it happen.